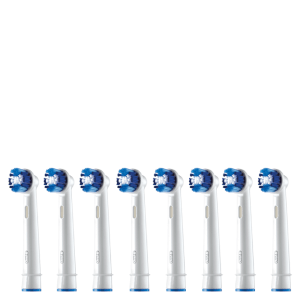 Experience a superior cleanse with the Oral-B Cross Action Replacement Brush Heads, a set of professional-inspired brush heads compatible with the entire line-up of Oral-B rechargeable electric toothbrush handles*. Specially engineered to clean tooth by tooth with complete coverage, the brush heads are fitted with CrissCross bristles that are set at a 16 degree angle to effectively clean along the gumline and deep between teeth. 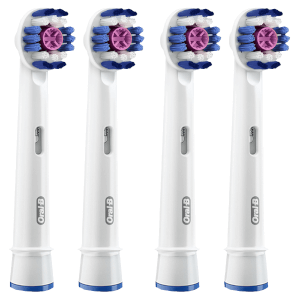 Professional and effective, the brush heads break away and remove up to 100% more plaque compared to that of a manual toothbrush, and feature indicator bristles that fade when it's time to replace; dentists recommend replacing your toothbrush every 3-4 months. 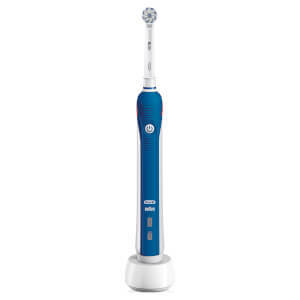 *Compatible with all Oral-B rechargeable electric toothbrush handles, except for Oral-B Pulsonic toothbrushes.